I have recently purchased a 1982 MH 349, however the from tyre rubs on the mudguard bracket unless it has 25psi in it, I don't know if the fork yokes are the wrong type? the forks are parallel at the top and bottom? is there are measurements that I could check as it may be the yokes or there are spacers missing on the front wheel hub? 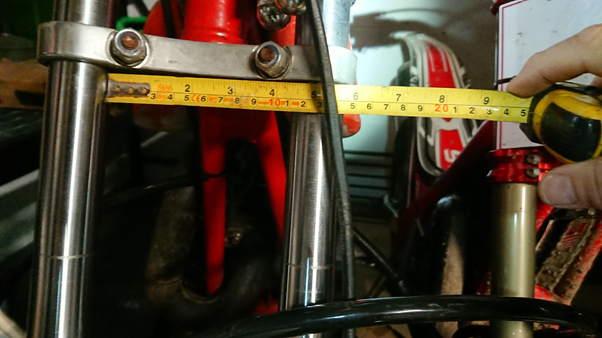 It looks like I have 110mm between forks and approx. 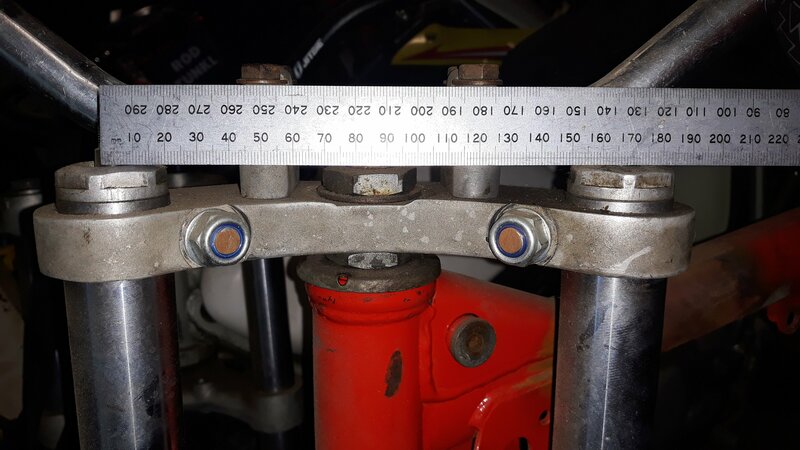 145, centre of fork slide to centre, is this standard for a MH349? Hi badgersheid, as mentioned in another post elsewhere on this site, 170mm is what you are looking for in the yokes, I've managed to get a pic of my 349/4 with a ruler across the top, I've also got a Cota 350 in pieces which is also 170mm. They are all basically the same whether it be MH 349, Cota 349/4, Cota 350. IE: 170mm centre to centre. I'd be curious to see a pic of your front wheel/hub set up to see what's installed.